Hey nerds! Chris here with another Pokémon article. If you read my article on my thoughts on the upcoming Let's Go games, you might remember me touching on the Video Game Championships (VGC) format. This time around, I'll be diving a bit deeper. What would VGC look like if the new Let's Go games were used? But first, let me give you a quick rundown on how VGC works in general. WHAT IS THE VGC FORMAT? In VGC, Trainers bring 6 Pokémon and compete in doubles battles (2-on-2). These Pokémon cannot be from a previous generation. For example, Pokémon in the current VGC season must be caught/bred in the Alola region (Sun/Moon/Ultra Sun/Ultra Moon), and all your Pokémon from any game prior to those games cannot be used. Prior to the battle, you get to see what Pokémon your opponent has in their team of 6--although you don't see items, moves, stats, etc. Each Trainer picks 4 of their 6 Pokémon for battle. A winner is determined when a Trainer's last Pokémon faints. Each Trainer also has a timer that goes down as you select your Pokémon's moves. If the timer hits 0, you'll lose, even if you're ahead in that battle. Each round in VGC is a best-of-3 format, so it's no sweat if you lose your first battle. The best teams have a variety of different strategies to employ and are also capable of handling various threats that exist in the metagame. And the metagame changes often over the course of the year. Trainers need to keep up with the rise and fall of developing threats in order to either add them to their team or figure out how to counter them. Trainers compete throughout the season to earn Championship Points (CP). With enough CP, you get an invite to Day One of the Pokémon World Championships. And with even more CP, you'll get an invite to Day Two--meaning you'll be even closer to winning the whole event. If you're into strategy, quick-thinking, and teambuilding, VGC is a really fun format. Whenever new mainline Pokémon games releases, the VGC format adopt those games for their season. But there hasn't been an official announcement as to whether or not the Let's Go games will even be used at all. Many VGC players think that the 2018-2019 VGC season will be similar to the 2015-2016 season. Pokémon Omega Ruby and Alpha Sapphire released in 2014, but Sun and Moon didn't come out until 2016,. Since there weren't new games to use in VGC in 2015, the format remained in Omega Ruby/Alpha Sapphire but allowed the use of up to 2 legendary Pokémon that were banned the previous year (Pokémon like Mewtwo, Groudon, and Xerneas). But while this entire article could be proved for naught in the coming months, Pokémon officials neither confirmed nor denied the Let's Go games being used for the upcoming season. So what could change if only the original Kanto Pokémon (plus Alolan forms) can be used? Out of these Mega Pokémon, only Kangaskhan, Charizard Y, and Gengar are seen regularly at VGC tournaments. Popular Megas like Metagross, Manectric, Salamence, Tyranitar, and Gardevoire can't be found in Kanto. With these powerhouses gone, maybe very rarely seen Megas like Pidgeot and Alakazam can finally get the spotlight. Mega Kangaskhan and Mega Charizard Y will definitely remain big threats for reasons I'll dig into more below. Next we'll dig into particular moves that are seen often in past VGC seasons. All the Pokémon I've listed either learn said move from either TM or level up--no egg moves are part of this list since it's been confirmed that breeding is not in the Let's Go games. Bear in mind that since both Pikachu and Eevee were shown to learn Double Kick (which they have never been able to learn in prior games) in the E3 demo, it's possible that other Pokémon can have new moves added to their movepools. Again, nothing is confirmed on this point. Trick Room is a move that has abysmal priority, so the Pokémon using it will usually go last. When Trick Room goes up, Speeds basically get reversed. For 5 turns, the slowest Pokémon attacks first, and the fastest attacks last. If your team isn't prepared for it, Trick Room can single-handedly run a train right through you. Teams running a Trick Room-based team always have at least 1 Trick Room user to go along with 2-5 slow Pokémon to take advantage of Trick Room. More well-rounded teams opt for less slow Pokémon, and "hard Trick Room" teams go all out with slow Pokémon. Even teams that lack a Trick Room user of their own will have a slow, bulky Pokémon like Snorlax to deter potential opponents from thinking Trick Room will be an easy plan to steal that W.
Right off the bat you can see the first three Pokémon also have Mega Evolutions. Gengar and especially Alakazam though are frail Pokémon, while Slowbro is very bulky. Likewise moving down this list, Mr. Mime and Jynx are fairly frail, and Porygon doesn't have nearly as much bulk as Porygon2 does in recent VGC seasons since it can't use Eviolite. And out of this list, only Slowbro and the Exeggutor have incredibly low Speed to take advantage once Trick Room gets set up in the first place. Alolan Exeggtor is a very niche Trick Room setter pick in the current 2017-2018 season, largely because it has an awful 4x weakness to Ice. If it can get Trick Room up though, it can attack with powerful attacks and can be either a special or physical attacker, with most opting for Special Attack since it's a tad bit of a higher stat that Alolan Exeggutor's Attack and gets around Intimidate, a highly prevalent ability in VGC that I'll get into more later. Alolan Exeggutor can also stick around with its berry + Harvest combo, which allows it to regain its berry after eating it. Slowbro, on the other hand, is a bonafide physical tank that has a wide movepool and has been a fringe Trick Room setter in VGC for years. Just looking at this list, I think it's safe to say that the initial go-to Trick Room setter of the format will be Slowbro, especially if Mega Evolutions are allowed. That's a pretty bad list. Gone are the days of Tailwind Zapdos running (ok, more like flying) rampant. Pidgeot notably has a Mega, but it's hardly ever been used in VGC. Butterfree can run Focus Sash to ensure it doesn't get OHKO'd before it uses Tailwind and can then follow with Compoundeyes boosted Sleep Powder for a nearly 100% accurate sleep-inducing move. It can also learn Quiver Dance, but it just doesn't have the bulk to reliably run it. Butterfree can learn Rage Powder though, so it can run a completely supportive set with Sleep Powder/Tailwind/Rage Powder/Protect. Articuno has fantastic Special Defense (it's actually the highest in all of Kanto), but like Butterfree, Articuno is 4x weak to Rock-type attacks, most notably the most rage-inducing move in all of VGC. Without the move being added as a TM or as a movepool addition to more Pokémon, Tailwind is set to be much less of a factor in the upcoming VGC season. But let's move on to that rage-inducing move. That's about 1/5 of the Kanto cast that can drop rocks on you for days, but there's a big caveat here: only Onix and Aerodactyl learn Rock Slide via level up. All the other Pokémon on this list learn it via TM. If the Rock Slide TM is removed, that's a ton less potential flinch hax to deal with, barring the move being added to additional movepools. Digging deeper into this list, we can rule out Blastoise, Chansey, and Omastar, as they're not known to use their Attack stat to win battles. Additionally, you likely won't see this move on Charizard unless it's a nice move on Mega Charizard X OR if Belly Drum/Dragon Dance get bumped up from an egg move into Charizard's level up movepool (since standard physical Charizard sets rely on one of those setup moves as its stats naturally lend itself more to Special Attack). The Nido duo, while they both have decent Attack, often use their Special Attack in VGC since they have a deeper movepool on the special side. That said, since Earth Power is a move tutor move in Ultra Sun/Ultra Moon, there will probably be more physical Nidoking/Nidoking sets in order to preserve a Ground-type STAB move, which I'll be getting into in the next section. It seems that the biggest Rock Sliders to watch out for are Onix, Aerodactyl, Rhydon, Sandslash, Dugtrio, Marowak, Machamp, and Kabutops--and to a lesser extent, Kingler and Tauros (should these latter 2 Pokémon opt to run Sheer Force as their ability, Rock Slide will be stronger but will lose its flinch chance). But these threats aren't created equally! Under Trick Room, Onix, Marowak, and Rhydon could be nightmares thanks to their low Speed stats. Aerodactyl and Dugtrio will be fast no matter what, and will be benchmarks for prospective Choice Scarf users to ensure they outspeed. With Sandstorm up, Sandslash's Sand Rush ability will make it an incredibly speedy Pokémon--same for Kabutops's Swift Swim with rain active. Machamp is very unique in that its No Guard ability makes all of its moves (and moves against it) have 100% accuracy. The only Pokémon that learn Earthquake by levelup are Sandslash, Dugtrio, Golem, and Rhydon. As mentioned in the Rock Slide section, Sandslash will be very fast under Sandstorm, Dugtrio will always be fast, and Rhydon will wreck you under Trick Room. I honestly wouldn't worry about Golem, as Rhydon has the same typing and has a higher Attack stat, essentially replacing Golem under Trick Room. Golem does have access to Explosion, though, which Rhydon does not. We can again make some cuts here and remove Pokémon that don't use their Attack stat--so don't worry about Venusaur, Blastoise, Slowbro, Exeggutor, Chansey, and to a lesser extent Charizard. Outside of the italicized Pokémon, you should also watch out for Nidoking, Nidoqueen, Onix, Marowak, Tauros, and the occasional Gyarados as the primary Earthquake users. Only Persian and Alolan Persian learn Taunt via levelup. Without Taunt returning as a TM, that makes for a pretty niche move. With the fall of Trick Room, a fast Taunt user won't be as important as in previous VGC seasons, but if you're looking for a fast Taunt user anyway, Electrode and Aerodactyl have you covered, followed closely behind by Gengar and Alakazam (and out of these 4, only Electrode doesn't have a Mega). Honestly, Taunt is going to be a pretty niche pick for nearly all of these Pokémon listed. In previous seasons, Alolan Persian almost always has Taunt. Aerodactyl often has it. Gyarados runs it as a niche pick. There's another way to counter Trick Room, and I think it will be more prevalent than Taunt. Only Ninetales/Alolan Ninetales, Arcanine, and Aerodactyl can learn Roar via levelup. I can see Ninetales and Arcanine running Roar, but Aerodactyl will definitely be using Taunt if it wants to shut down Trick Room/Tailwind. Ninetales and Arcanine will absolutely be two of the most popular Pokémon in the format. I'll dig more into this in a bit, but take note of these two! All other Pokémon listed will have Roar as a pretty niche pick, but the Pokémon to watch out for Roar the most by far is Zapdos. Roar has been a niche pick for Zapdos in previous seasons. It pairs well with Zapdos due to the Pokémon's solid bulk and longevity thanks to the move Roost and HP recovery berries. In previous VGC seasons, Alolan Persian and Mega Kangaskhan always pack Fake Out. This won't change next season. Without Megas, Kangaskhan won't see as much use, but it still has high Attack for a Kanto Pokémon. Got a Dragon Dancing Dragonite or Gyarados? Slap an Alolan Persian or Kangaskhan next to it and profit. Previous VGC seasons have seen Nidoqueen and Vaporeon run Helping Hand, and these are definitely the two most likely candidates to opt for the move. Nidoking, Flareon, and Jolteon are more used for offense. Eevee's use is a bit of a wild card depending on whether or not Z-moves come back. Some YouTubers are also reporting that your partner Pokémon in the demo had higher base stat totals than their standard total. If this hold true in the final build, Eevee could be usable, depending on its movepool. Without Z-moves and increased stats though, Eevee will be in a very awkward place. Sadly, Golbat's evolved form, Crobat, isn't native to Kanto. In previous seasons, Crobat was an underused Pokémon that often ran supportive sets involving Quick Guard. It's possible Golbat could fall into a similar niche. It'll be an even more niche pick for Hitmonchan thanks to its diverse offensive movepool. Mr. 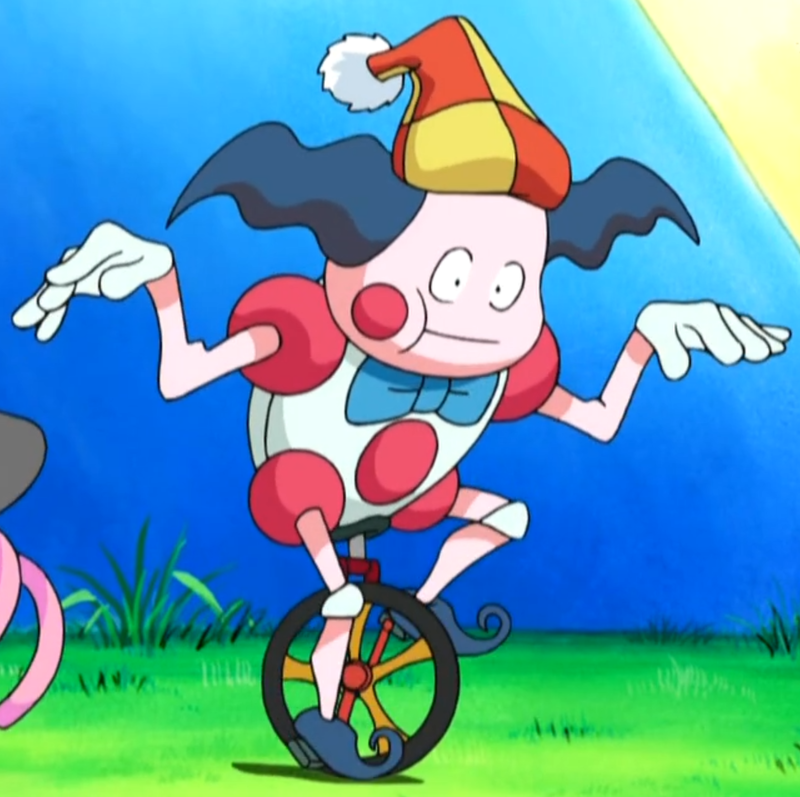 Mime, on the other hand, will probably be the Pokémon most likely to opt for this move. Or it could opt for the next move instead. 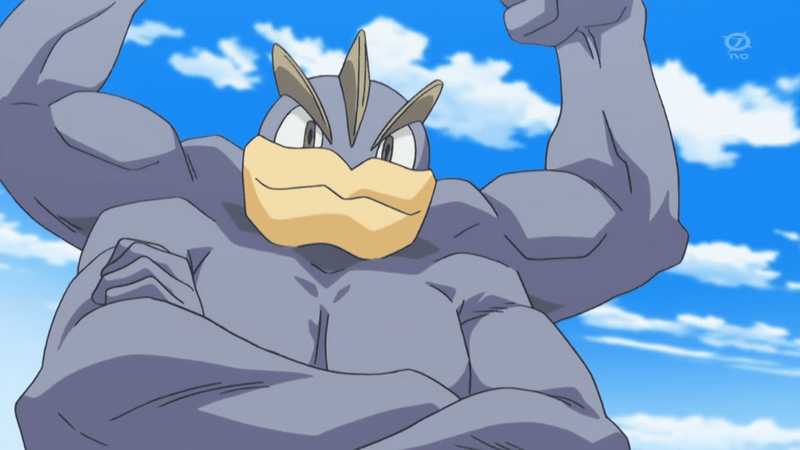 Out of these Pokémon, Machamp is the one who's been seen with Wide Guard the most in previous seasons. Kingler and Hitmonlee both favor offensive sets but could have Wide Guard on them as a niche pick. Mr. Mime also pops up again and shows how it has a lot of supportive moves up its sleeve. History makes it seem that Machamp will be the most common Wide Guard user, but definitely keep the other 3 in mind. One really quick note on Parting Shot, a move that lowers your opponent's Attack and Special Attack before switching out the user to a Pokémon of your choice. In previous VGC seasons, Alolan Persian ALWAYS has Parting Shot. Its high Speed makes it so that it can fire off Parting Shot before your opponent's Pokémon, allowing you to both weaken one of their Pokémon and reposition your team. This is all set to change with the Let's Go games though, as Parting Shot is an egg move on Alolan Persian. If Parting Shot isn't added to Alolan Persian's levelup movepool or added as a TM, then Alolan Persian's utility will go way down. Additionally, the only other 2 Pokémon that learn Parting Shot via levelup, Pangoro and Silvally, cannot be found in Kanto--meaning that Parting Shot won't be found at ALL should the upcoming VGC season use the Let's Go games. That's all for moves! Next let's move onto important abilities in previous VGC seasons. Hands down the two most popular Intimdate users will be Arcanine and Gyarados. Arcanine is especially notable, as it was the most used Intimidate user by far in the 2016-2017 VGC season, which also featured a highly restricted Pokédex. Combined with its offensive movepool, ability to cripple opposing Pokémon's Attack even more with Will-o-Wisp, and health recovery in Morning Sun, Arcanine will absolutely be a Pokémon to prepare for. Gyarados, on the other hand, is generally more offensive and is notably one of 3 Kanto Pokémon that can learn Dragon Dance. It also has a Mega Evolution. Gyarados can even run support moves like Taunt and Thunder Wave, making it a bit of an unpredictable Pokémon. Tauros clocks in third here, as it lacks the bulk of Arcanine and Gyarados. It does have one of the faster Speed stats in Kanto though, making it stand out from its Intimidate peers. Arbok isn't so lucky, as its base stats aren't as impressive. The lack of numerous Fairy-types in Kanto also make the need to have a Poison-type on your team substantially less. Arbok can pull off fun Coil + Gunk Shot shenanigans, but it simply doesn't have the bulk to take too many hits or the Speed to pull off sweeps. As much as I'd love to say otherwise, Farfetch'd will not be used in VGC 2019. Its stats are simply too low to take advantage of Defiant. Primeape is an incredibly rare sight in the current VGC season, but with only Kanto Pokémon allowed, it will become the top dog. Primeape can also learn Rock Slide via TM, allowing it to hit both Arcanine and Gyarados for super-effective damage. It has awful bulk, though, so Primeape's sole job will be dishing out as much damage as possible in a short amount of time. It'll definitely be a great candidate to hold a Choice Scarf or Choice Band. The notable Pokémon here are Lapras and Vaporeon. Both Pokémon have a ton of bulk. Lapras has access to Thunderbolt via TM, allowing it to hit all Kanto Water-types for super-effective damage (and 4x damage to Gyarados). Sadly it won't be packing Freeze-Dry since it's an egg move. Vaporeon, on the other hand, has a bit more Special Attack and access to Helping Hand but has a bit less Defense than Lapras. Lapras gets the edge to me since it can hit opposing Water-types hard, unlike Vaporeon, who relies on its partner to get rid of Water-type threats. Poliwrath pops up in VGC more often with its Swift Swim ability, doubling its Speed in rain in order to take advantage of offensive sets more. Its defenses are comparable to Lapras and Vaporeon, but it has much less HP. Water is by far the most common type in Kanto, so you can count on almost every VGC team having a Water-type on their team. Water Absorb will come in very handy! All three of these Pokémon will be threats. All 3 excel under Trick Room. The Pokémon you opt for largely depends on what type you're looking to cover on your team. 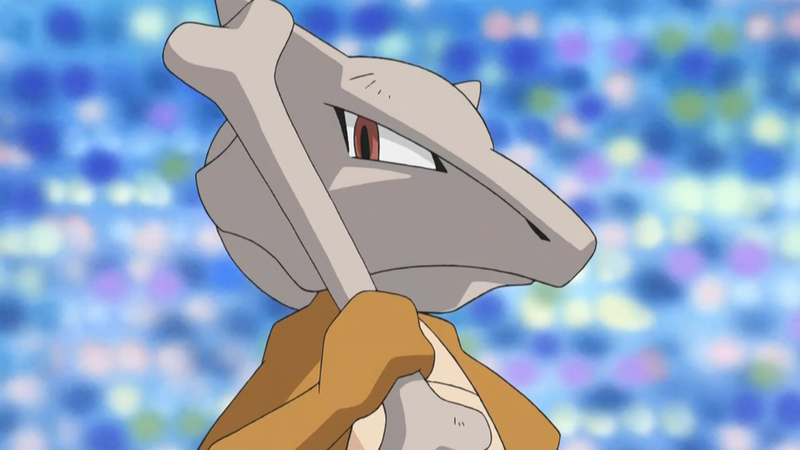 Marowak is a pure Ground-type, Alolan Marowak is Ghost/Fire, and Rhydon is Rock/Ground. Alolan Marowak and Gyarados formed a powerful core in VGC 2016-2017 and will absolutely continue to do so in this format. 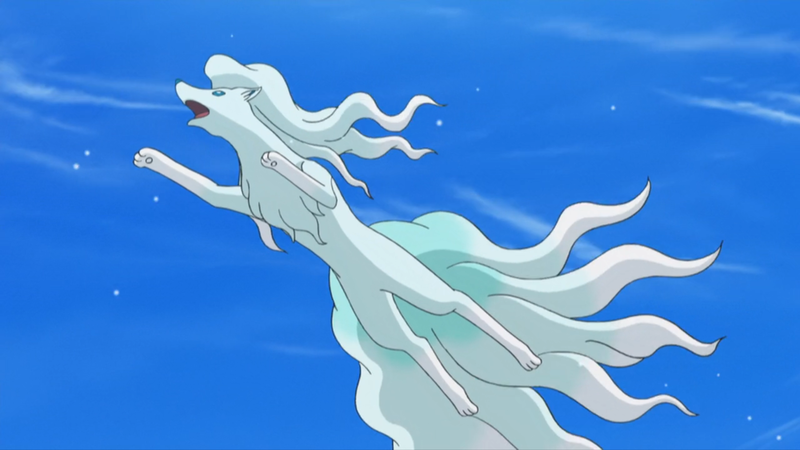 Alolan Ninetales can work with Alolan Sandslash's Slush Rush ability, raising Alolan Sandslash's Speed to insane levels--but it's more likely to be splashed onto teams to take advantage of its Aurora Veil move. This move can only be used when hail is in effect and lowers the damage your Pokémon receive for 5 turns. Before I move on to a couple last important abilities for VGC 2018-2019, I'd like to address some abilities that are not found in Kanto. The only two non-uber Pokémon that know Drizzle are Pelipper and Politoed, and both are not found in Kanto. This is a massive blow to rain teams. As a result, rain will be nonexistent, with Swift Swim Pokémon opting for other abilities instead. The only two Pokémon that know Sandstream are Tyranitar and Hippowdown. Like with Drizzle, this will eliminate Sandstorm teams, with Sand Rush and Sand Viel Pokémon opting for other abilities instead. The current VGC season is all about the 4 Tapus and "terrain wars". So important is the terrain in VGC 2017-2018 in fact that some teams even have 2 Tapus on their team. But the Tapus are the only Pokémon with these abilities. VGC seasons prior to the introduction of the Tapus in VGC 2016-2017 proved that the various terrain moves are simply too slow to use on their own. Terrain wars are set to be a thing of the past. Mega Charizard Y has been one of the most dominant Megas in the current VGC format, and it'll stay that way for sure if Megas are in the Let's Go games. Without Megas though, be prepared for the rise of Ninetales--ironically the two species of Ninetales are the only 2 Kanto Pokémon with abilities that automatically set weather! The beginning of VGC seasons historically show that Trainers flock to weather teams early. Drought will be king, especially with so many Water-types running around since the sunny weather halves Water damage. Drought also pairs perfectly with the next ability. 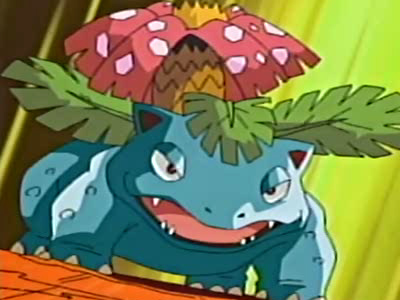 Previous seasons of VGC have seen Chlorophyll Venusaur pair exceptionally well with Mega Charizard Y's Drought. The only caveat here is that Chlorophyll is Venusaur's hidden ability, while the other 4 Pokémon have Chlorophyll has one of their standard abilities. Venusaur is the fastest Pokémon on this list, with Victrebell coming in a close second. If Venusaur can't access its hidden ability in the Let's Go games, Victrebell's higher base Speed will make it the most used Chlorophyll Pokémon in the format. The remaining Pokémon are simply too slow to take advantage of Chlorophyll--in fact, they work better under Trick Room. Next I'll dive into the top 5 Pokémon in each stat. The number you see next to each Pokémon is that Pokémon's base stat. Think of this as a cheat sheet when it comes to building your team and what to expect if you run up against one of these threats in battle. Trainer Tower - features tournament results, detailed team reports, and a damage calculator that's essential when planning EV spreads for your team. r/stunfisk - subreddit dedicated to competitive battling of all formats, including VGC. r/PokemonVGC - relatively new subreddit dedicated solely to VGC that features insightful topics from AMAs with top Trainers to translated Japanese team reports. Aaron Zheng's YouTube - Panda Global sponsored Trainer posts online ranked battles, analyzing strategy while he battles. Incredibly insightful and hands down the best VGC YouTube content around. Wolfe Glick's YouTube - also sponsored by Panda Global, 2016 World Champ Wolfe Glicke posts guides, unorthodox strategies, and online ranked battles featuring teams he's used at previous tournaments. James Baek's YouTube - longtime VGC player who has competed at Worlds five times and frequently uploads online ranked battles, with a different team every week. VGC Tournament Stats - site that compiles the total amount of CP earned by different Pokémon, allowing you to see which Pokémon are popular. Pikalytics - site that not only shows what Pokémon are most popular in online battles but also what moves, items, natures, abilities, and EV spreads they run as well as what teammates they typically have. Event Locator - TPCI's official website that easily allows you to search for tournaments near you. Pokémon Global Link - has a search feature that combs through data on how popular a Pokémon is as well as what teammates it typically has, what move it uses to defeat opponents, what move it's usually defeated with, and more. While next year's VGC format will be very different if the Let's Go games are used, studying the current VGC format is very helpful to understand the mentality and basics behind playing VGC in general. There have been numerous cases where someone watches the World Championships and is inspired to compete in VGC only for them to compete at Worlds in the future, sometimes even their first year of competing! Hopefully this article has given you a basic understanding of what the VGC meta could look like if the Let's Go games are used next year. It would definitely be a huge shakeup from the current VGC season and could lead to more players trying out the format for the first time. And yes, it's true that there's been no official announcement that the Let's Go games will be used for VGC at all. This article could have been created all for nothing! But what the hell, I love Pokémon.